Ingrid G. Daemmrich, a longtime professor at Drexel University whose love of literature inspired a lifetime of scholarship, died early Sunday of cardio-renal failure at Chestnut Hill Hospital. She was 82. Professor Daemmrich taught freshman English classes at Drexel University for 30 years, focusing on the critical reading and writing skills required for academic and professional success. One of her proudest moments every year was helping to select the winners of freshman composition prizes, including one she established in 1998 in honor of her late mother and mother-in-law. Teaching was her life’s passion, and she remained active with the faculty of Drexel’s Department of English and Philosophy until her retirement in June 2014. Born in Albany, N.Y., Daemmrich was the daughter of German immigrants, Alfred and Erika Guenther, and the eldest of four children. She knew she wanted to be a teacher from the moment she lined up her younger brother and sisters in an imaginary classroom. After graduating from high school in Warwick, R.I., she enrolled at Radcliffe College, then the women’s division of Harvard University. She won a Fulbright Scholarship to study in Bonn, Germany, in 1957, and graduated with honors from Radcliffe the following year. As a young bride, Daemmrich lived in Detroit, Mi., teaching along with her husband at Wayne State University. While raising two children, she completed her dissertation and earned her PhD in French literature from Wayne State in 1970. It was at this time that the couple also bought a small home by Lake Michigan in the Upper Peninsula. Daemmrich and her family spent every summer on the lake, which she considered “paradise,” despite the frigid waters. In 1981, when her husband joined the German Department at the University of Pennsylvania, the couple moved to Flourtown, Pa. Daemmrich taught for several years at Beaver College, now Arcadia College, before joining Drexel University’s faculty. A devout Lutheran, Daemmrich taught Sunday school for 55 years, and was active in Upper Dublin Lutheran Church, where she also cooked for needy families and belonged to a women’s Bible study group. Beyond church and the classroom, Daemmrich was most happy with her family. She took great delight in visiting her children and grandchildren, always looking for moments to discuss books that she or they were reading. Daemmrich is survived by her beloved husband of 56 years, Horst S. Daemmrich; her son, Arthur Daemmrich of Silver Spring, Md., and his wife Saiping Tso; her daughter, JoAnna Daemmrich of Annapolis, Md., and her husband, David Loughlin. 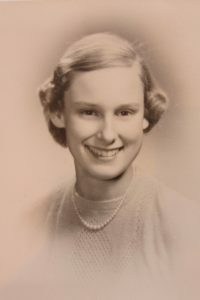 She is also survived by her brother, Fred Guenther of Lausanne, Switzerland; two sisters, Margaret Allstrom of Warwick, R.I., and Louise Webber of Westboro, Mass., and four grandchildren, JiLan Daemmrich of Silver Spring, Md., and Sophia, Drew and Theo Loughlin of Annapolis, Md. Relatives and friends are invited to Ingrid’s Memorial Service, Saturday 6/2, 11am Upper Dublin Lutheran Church 411 Susquehanna Rd., Ambler, PA 19002. Interment Private. In lieu of flowers contributions in Ingrid’s name may be made to the charity of your choice.